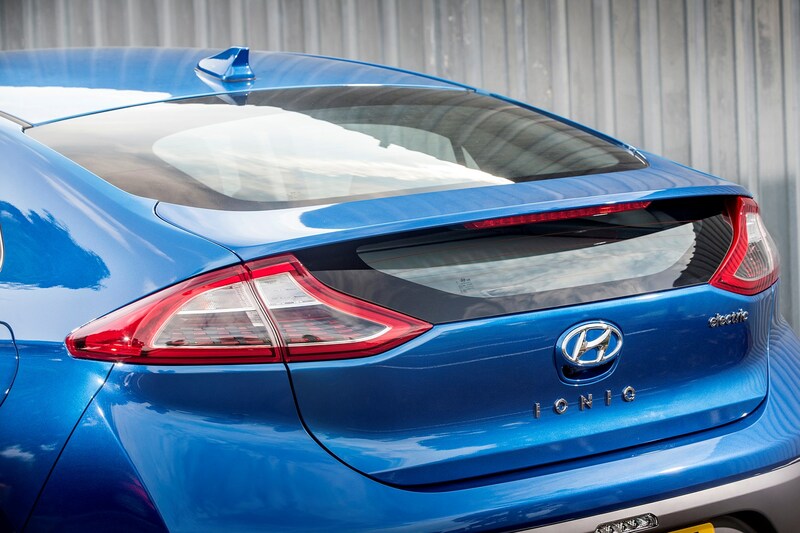 Insurance group: 10 - 12 How much is it to insure? 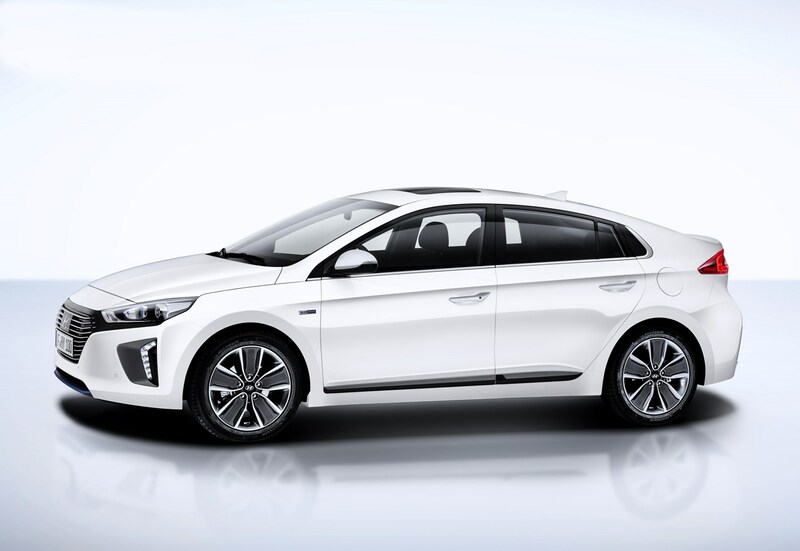 The Hyundai Ioniq takes a unique approach to the dedicated hybrid and electric car market. 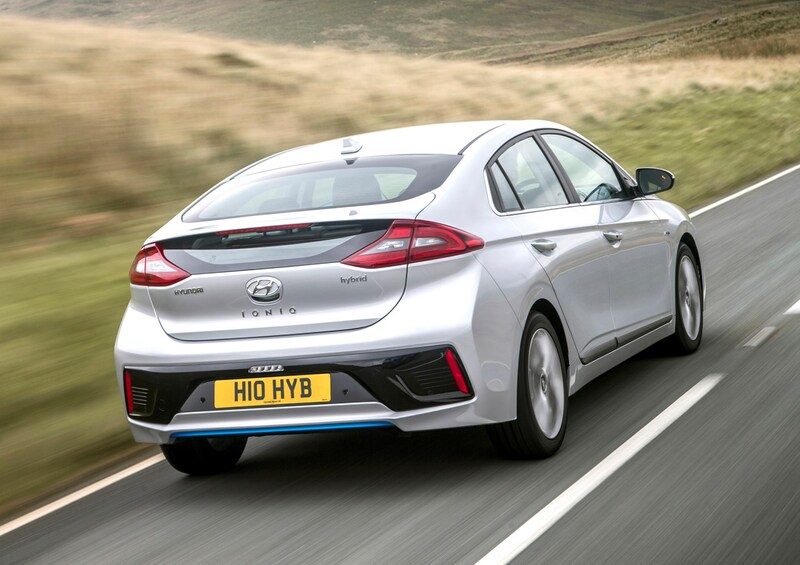 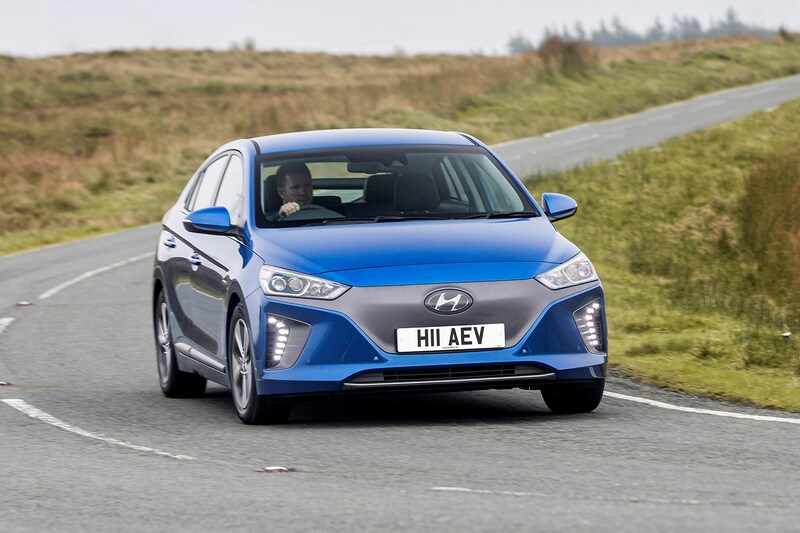 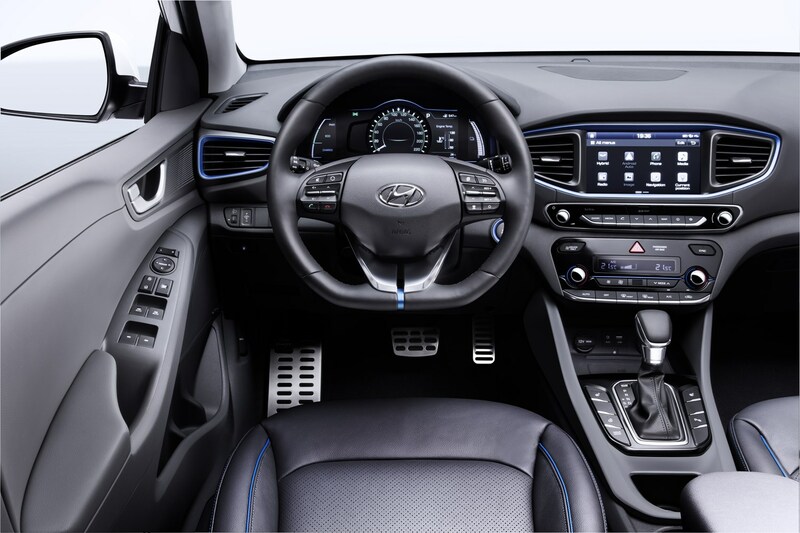 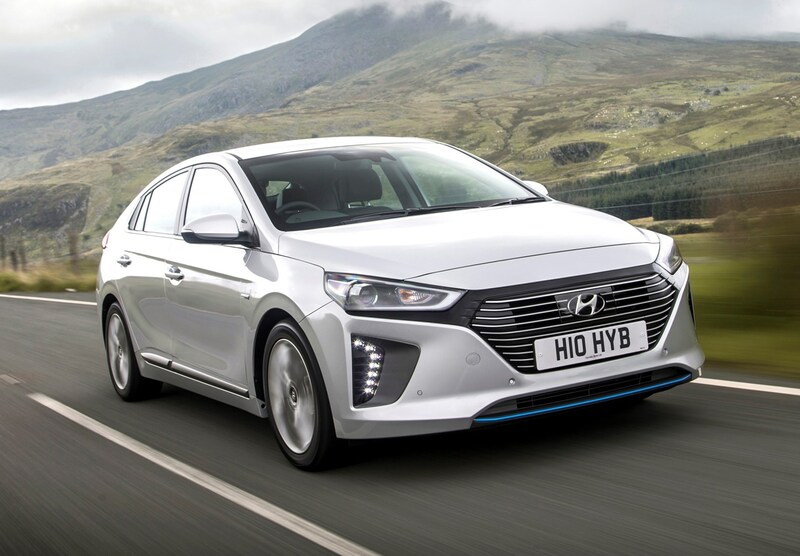 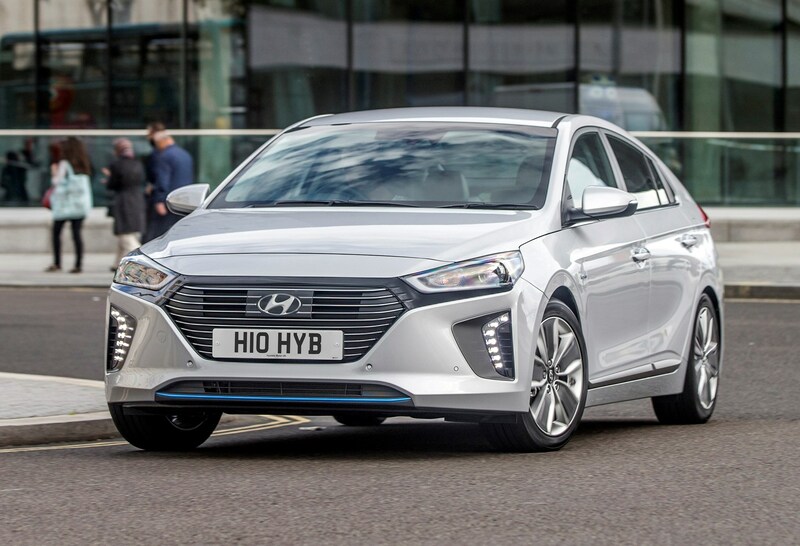 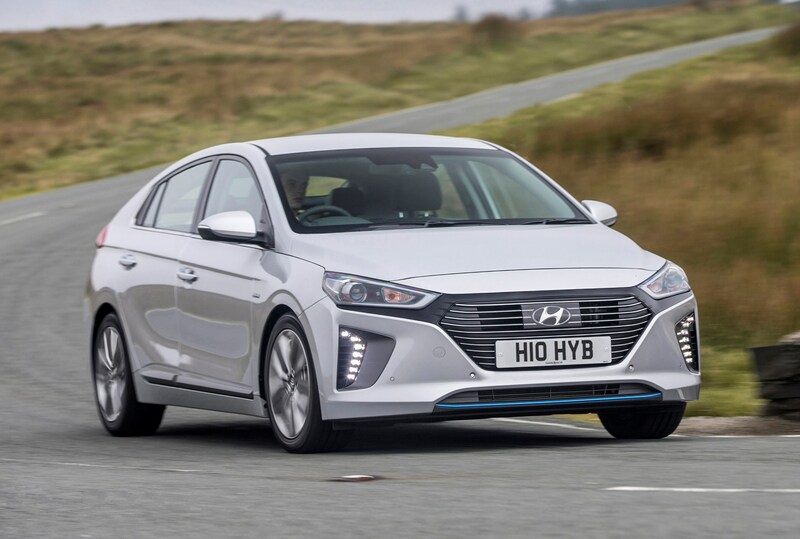 A standalone model, distinct from the rest of the Hyundai range, the Ioniq is the only car in the world available in Hybrid, Plug-in Hybrid and Electric variants in the same bodystyle. 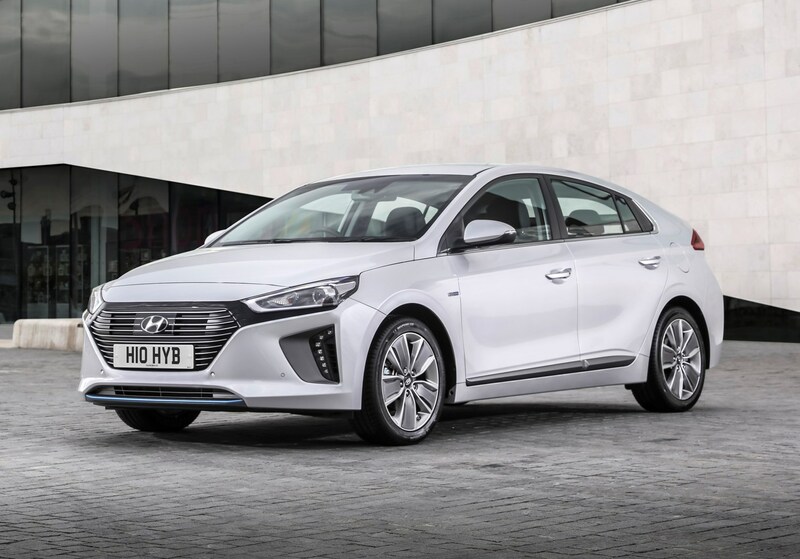 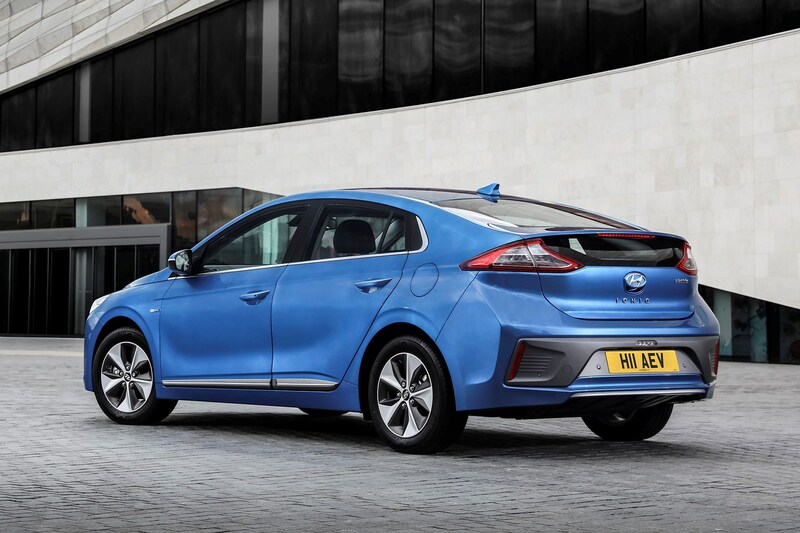 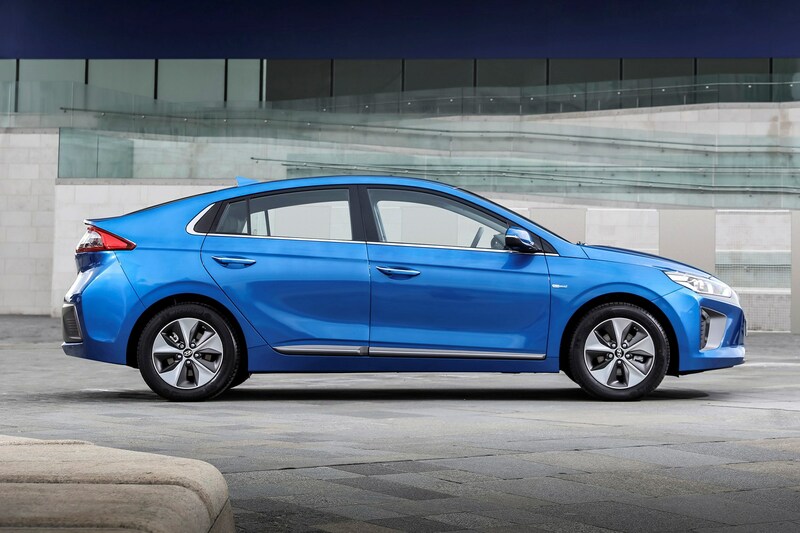 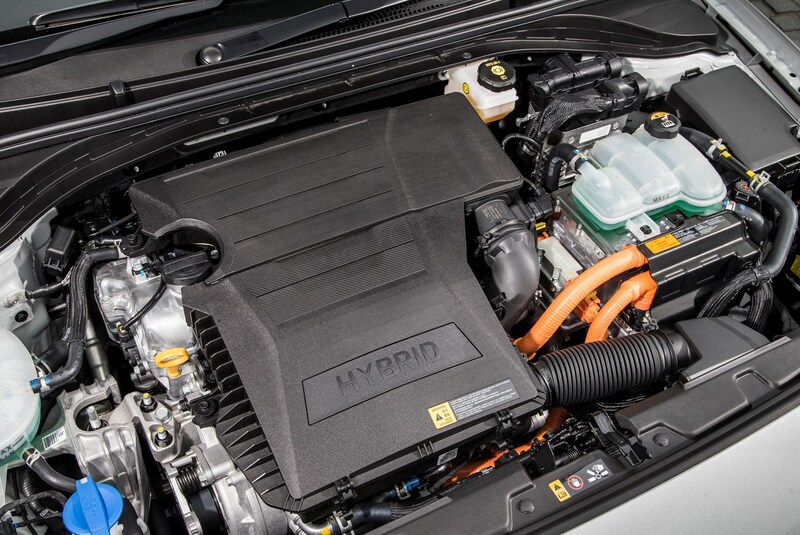 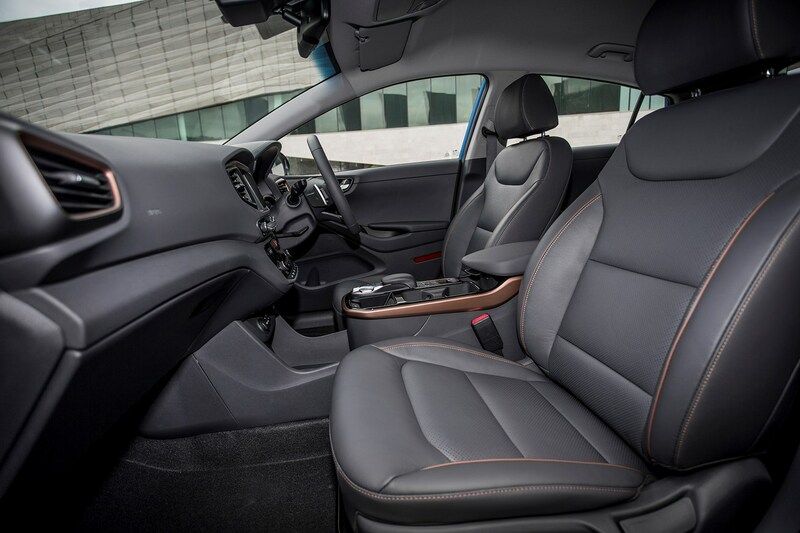 The Ioniq Hybrid combines a 1.6-litre petrol engine with an electric motor and a small battery pack, driving the front wheels via a six-speed dual-clutch automatic gearbox. 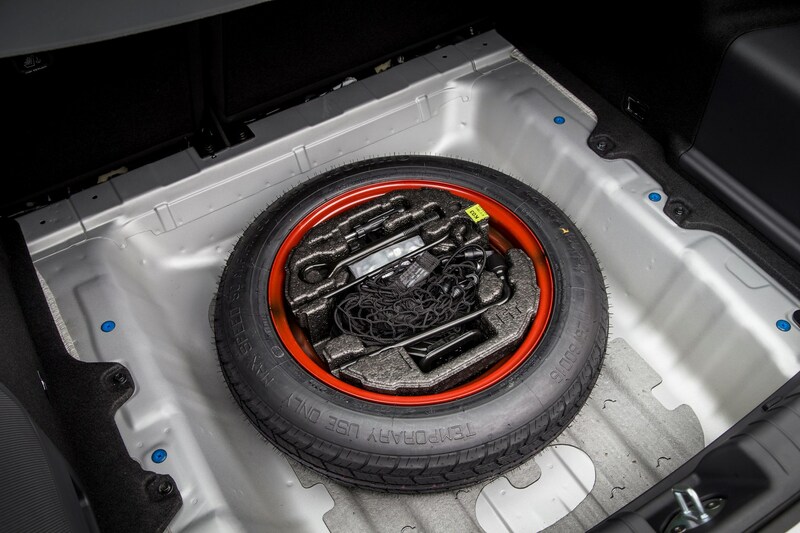 VolkswageIt is capable of travelling on electric power alone, but only for short distances – in most circumstances petrol and electric work together, boosting performance and (hopefully) saving fuel. 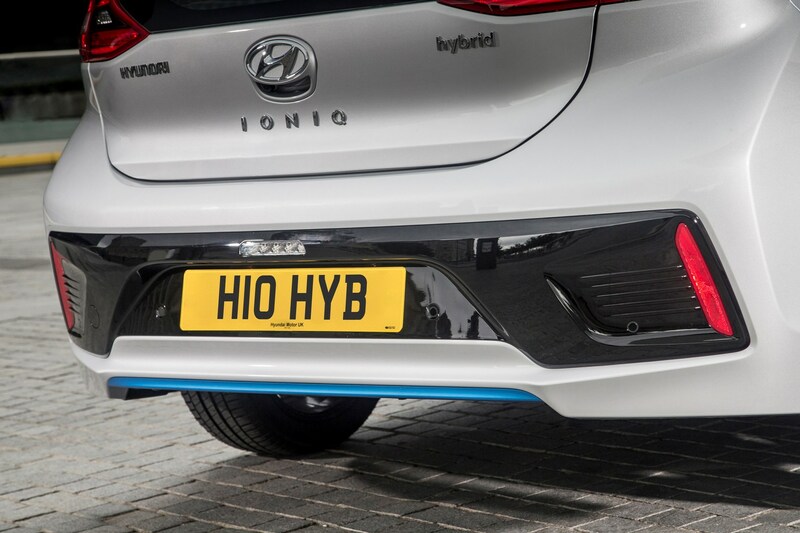 It is a direct rival for the Toyota Prius, and has similar aerodynamically optimised styling; the Kia Niro is based on the same platform and technology as the Ioniq Hybrid, but has more of an SUV-style appearance. 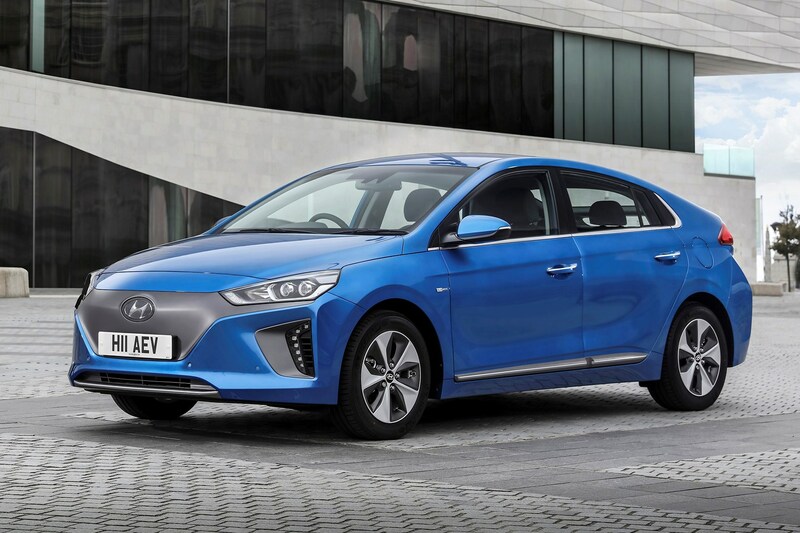 The Ioniq Electric has a much larger battery pack, a more powerful electric motor, a single-speed automatic transmission and no petrol engine at all. 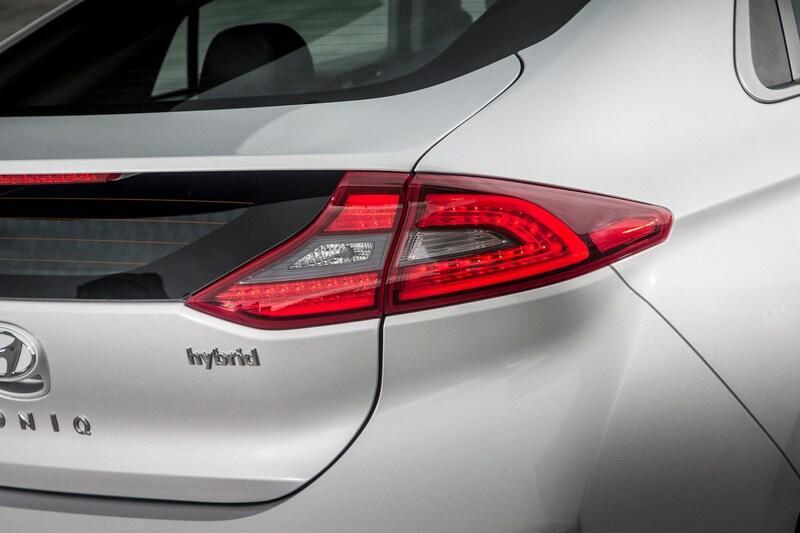 This means zero tailpipe emissions in motion. 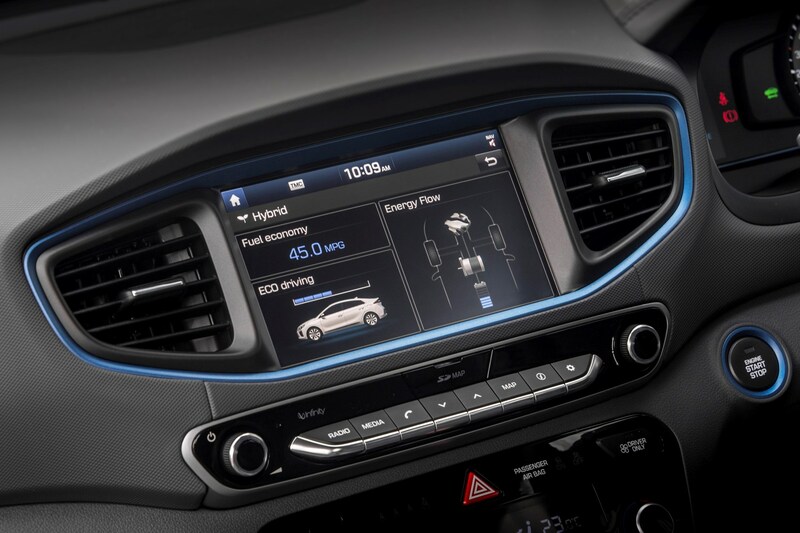 Planning ahead to make sure it’s got enough battery charge for your next journey. 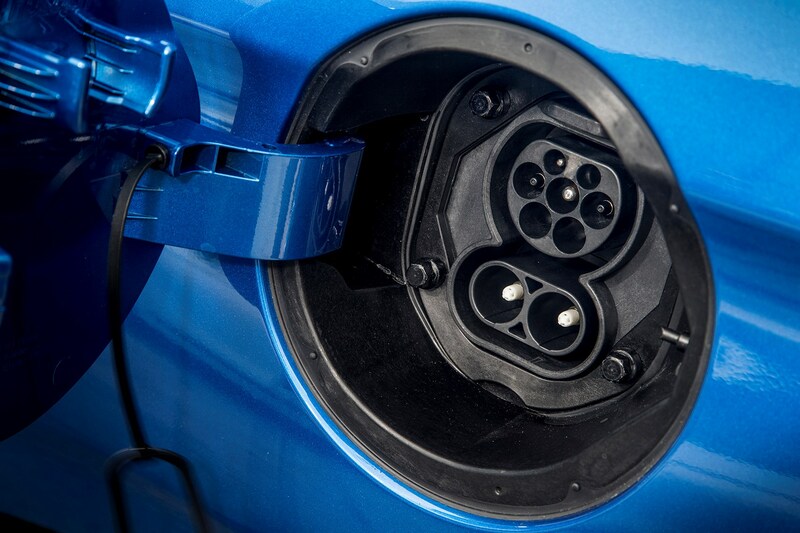 Since total range is a claimed 174 miles, and an 80% recharge is said to take just 23 minutes using a 100kw super-rapid charger, it may not be as inconvenient as you think. 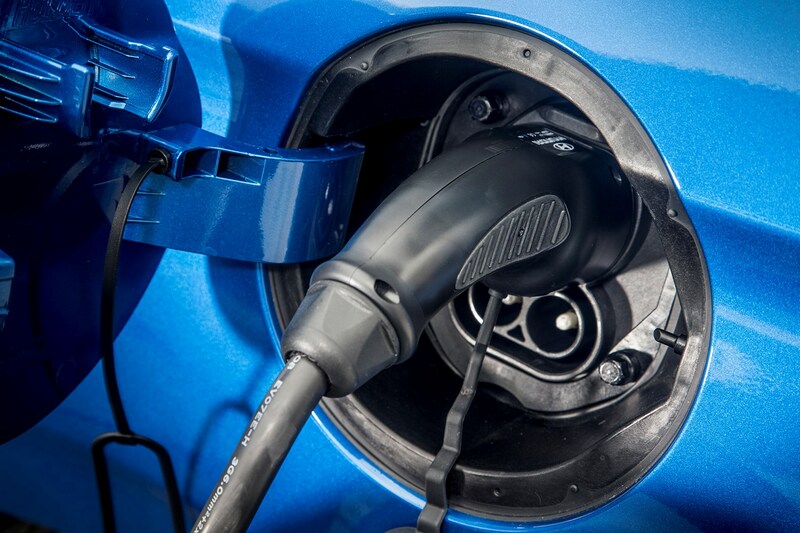 A full recharge can be completed in a few hours using a domestic electricity supply. 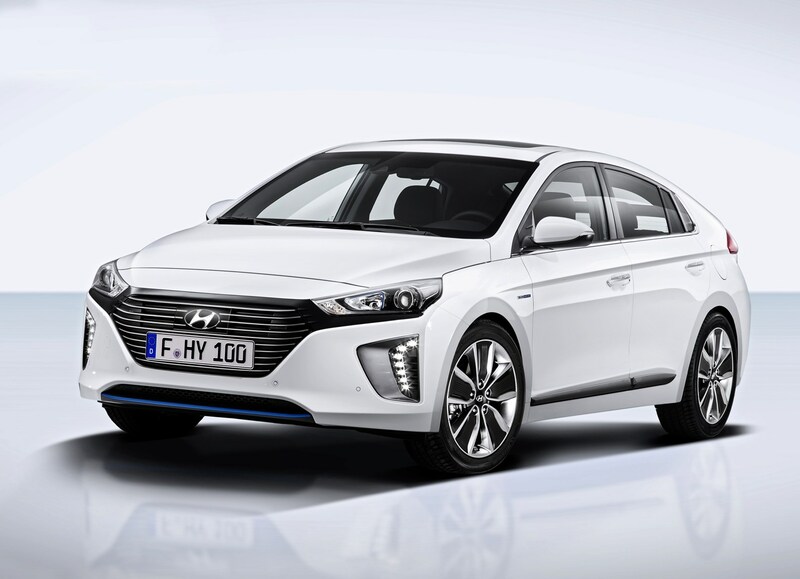 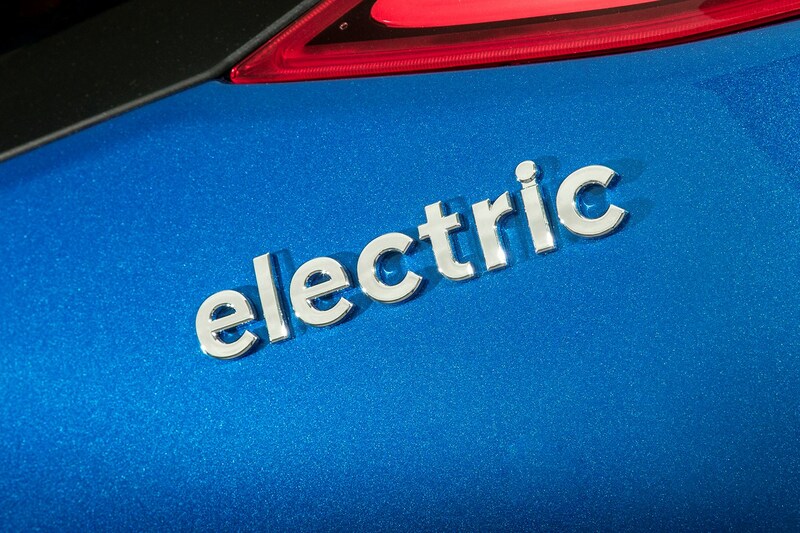 Rivals for the Ioniq Electric include the Nissan Leaf, BMW i3, Volkswagen e-Golf and Renault Zoe. 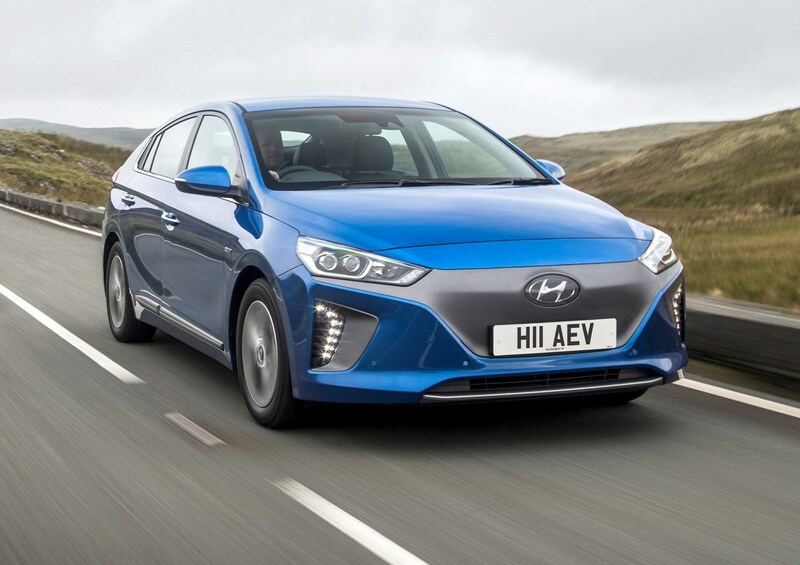 Both Ioniq variants have the distinctive, aerodynamically swoopy silhouette of an eco-car, but are intended to have wider-reaching appeal than the slightly awkward and wilfully 'different' looking Prius and Leaf. 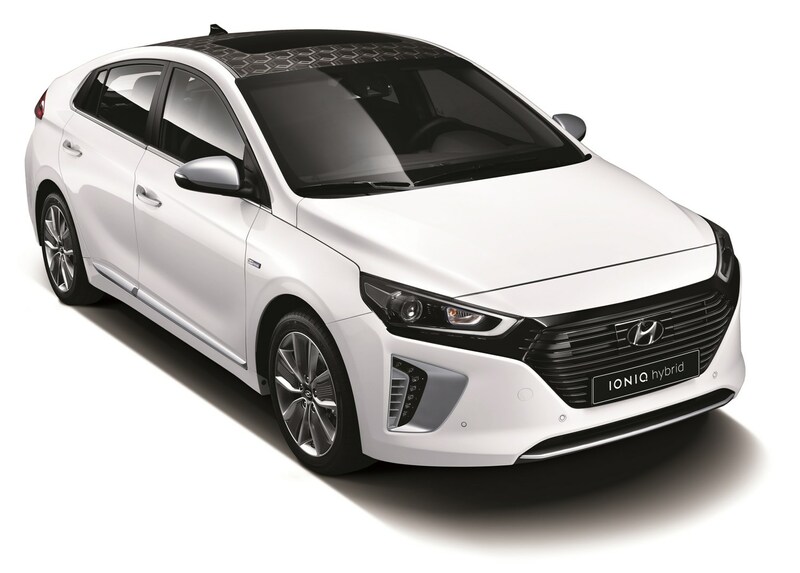 Of the two Ioniq variants, the Hybrid has the more conventional styling, with a slatted grille and blue accents inside and out. 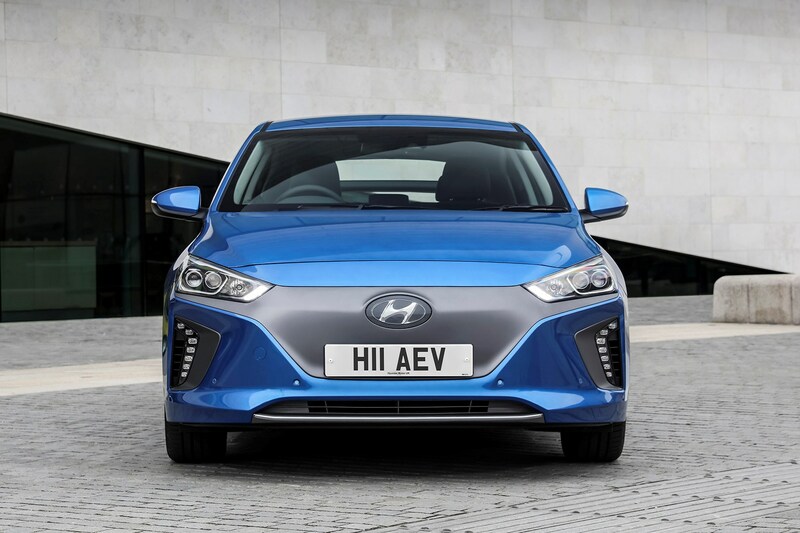 The Electric version looks a little more daring, with a grey blanking panel in place of the grille at the front. 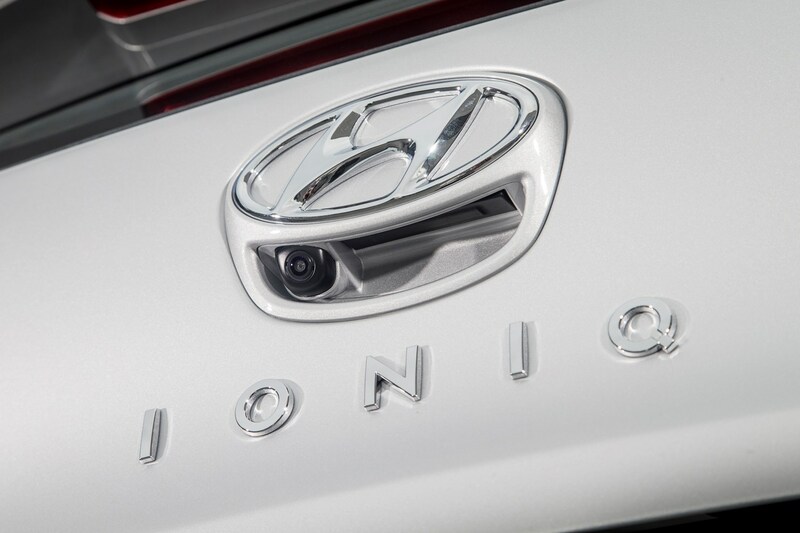 Generous observers might suggest gives it a Tesla-esque futurism. 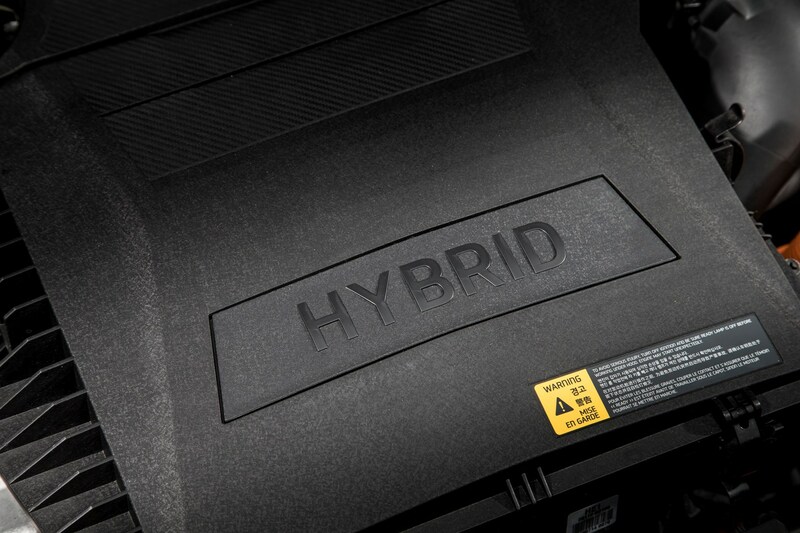 We'll let you decide. 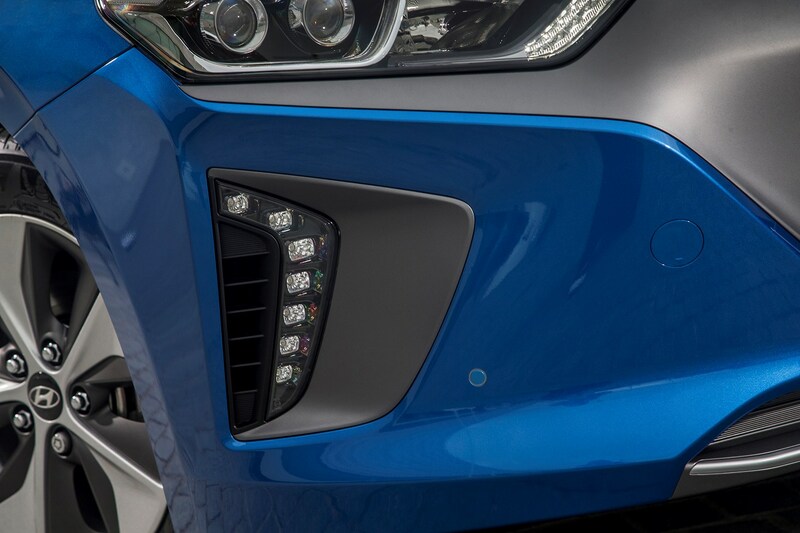 It also gets copper-coloured accents in place of the blue. 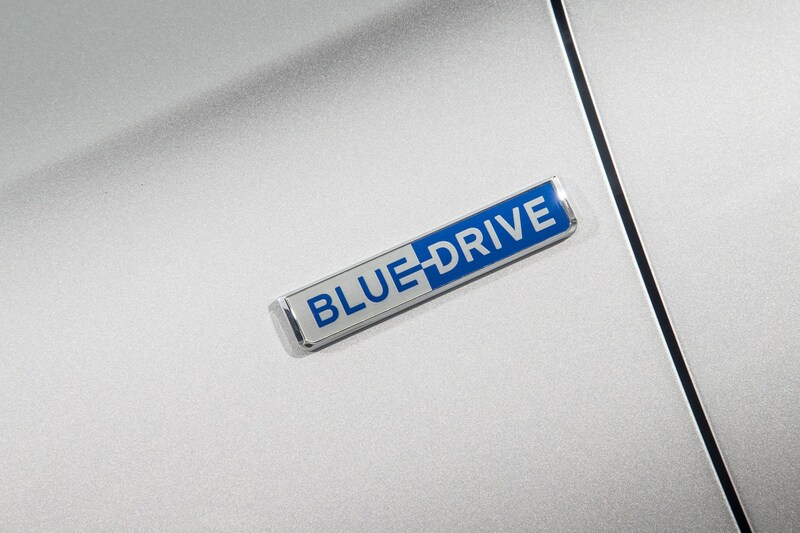 Others may think it looks too much like an appliance. 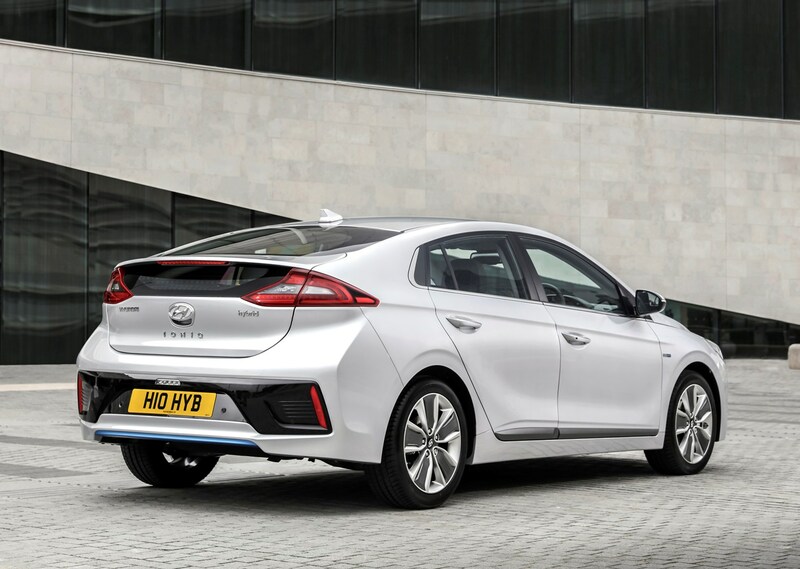 The Hybrid is available in SE, Premium and Premium SE trim levels, the Ioniq Electric in Premium and SE. 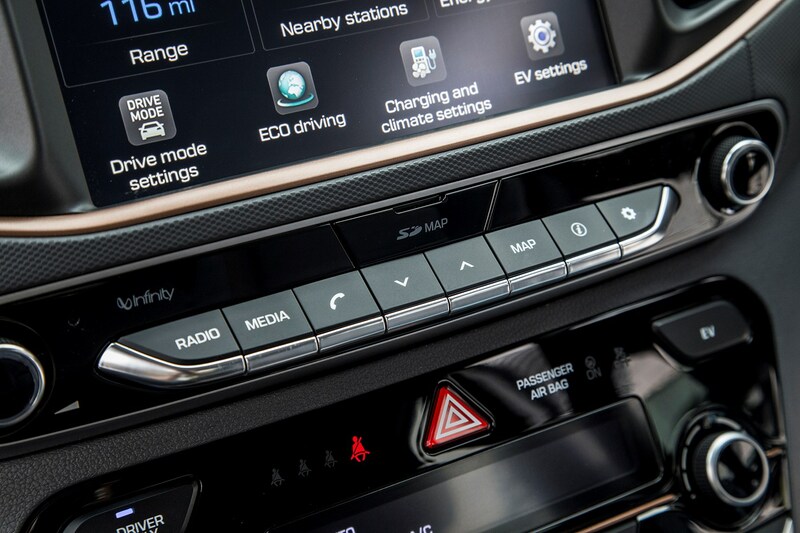 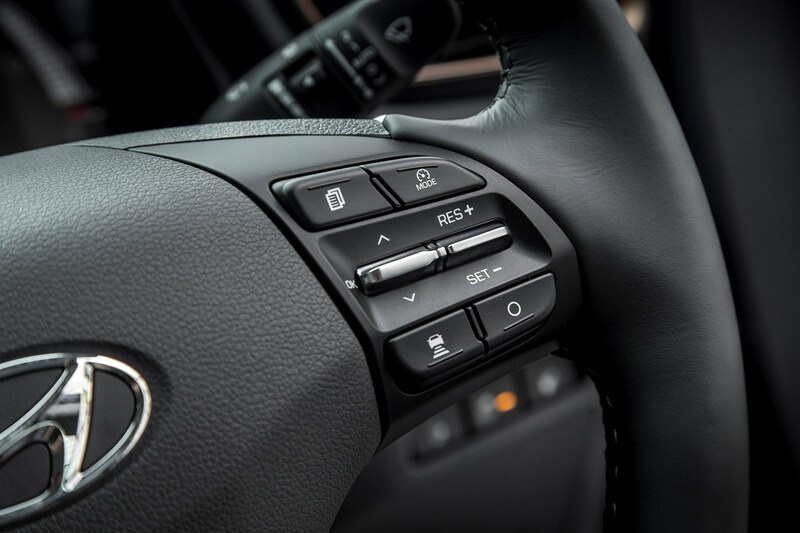 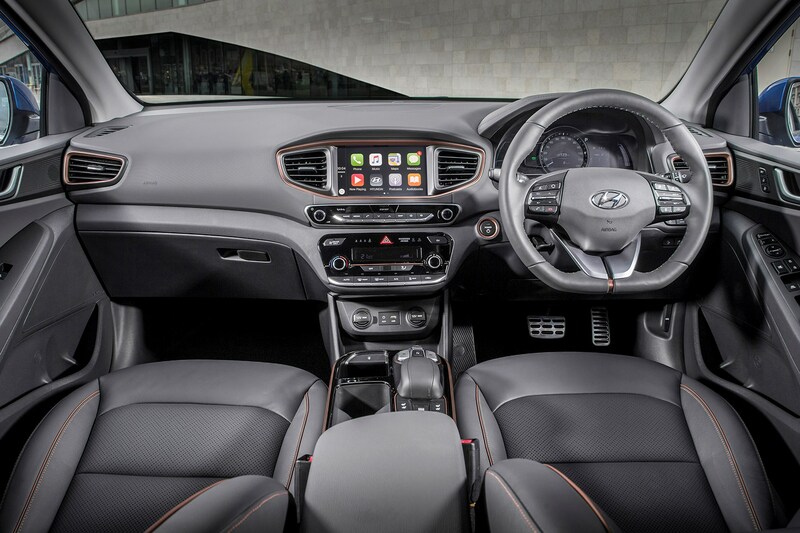 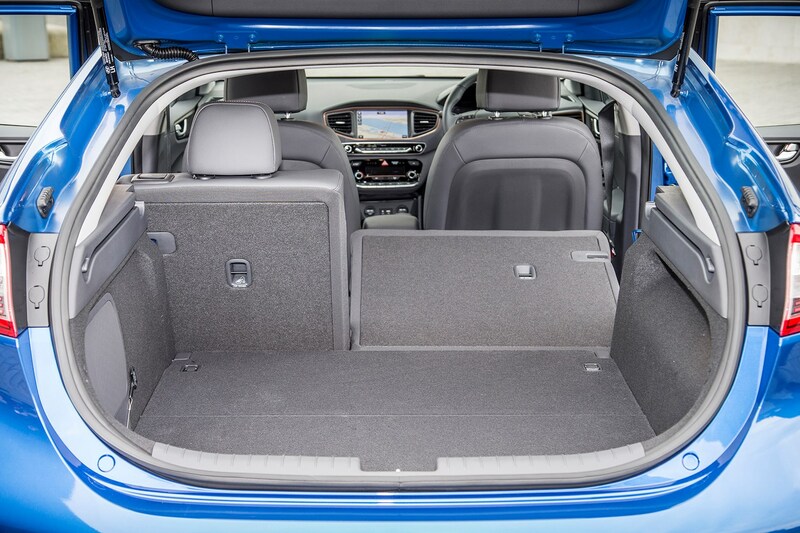 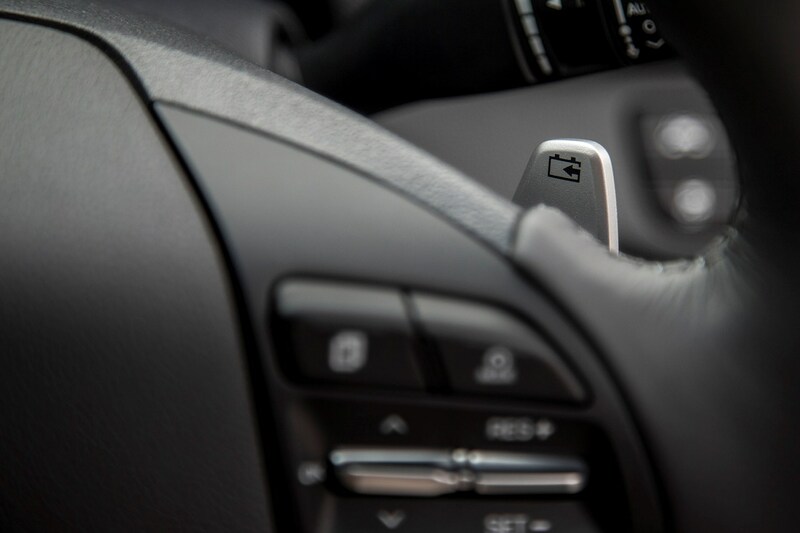 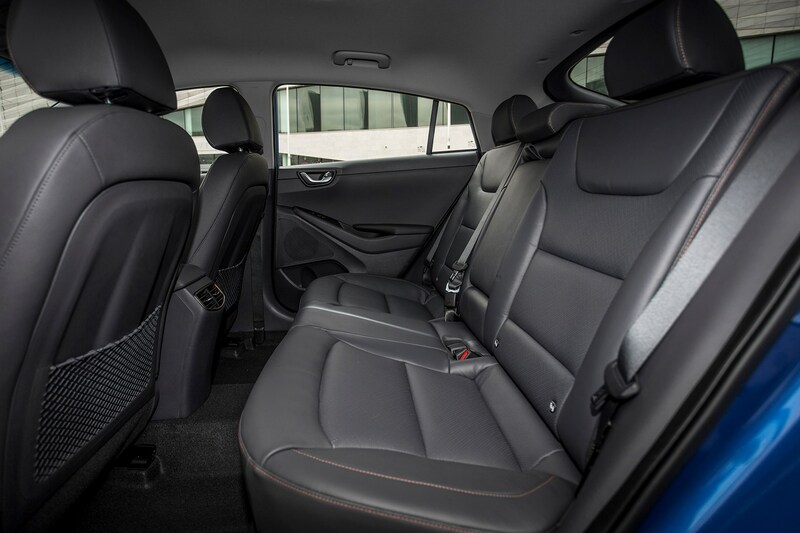 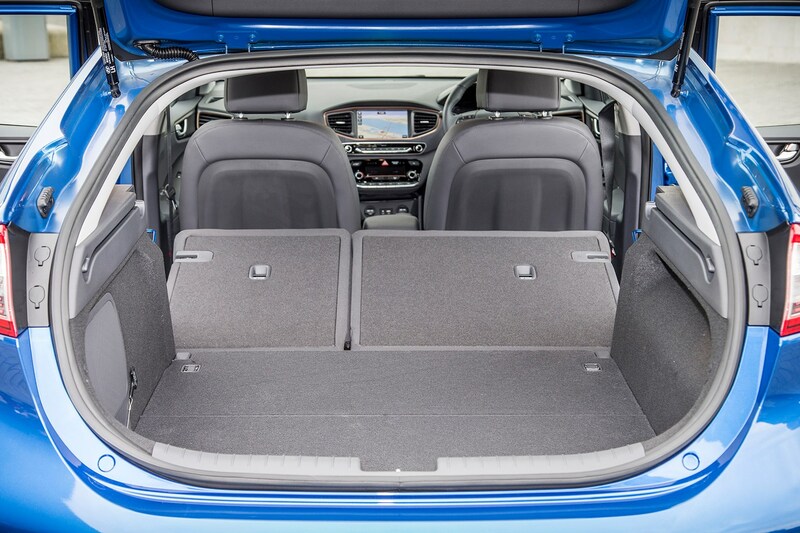 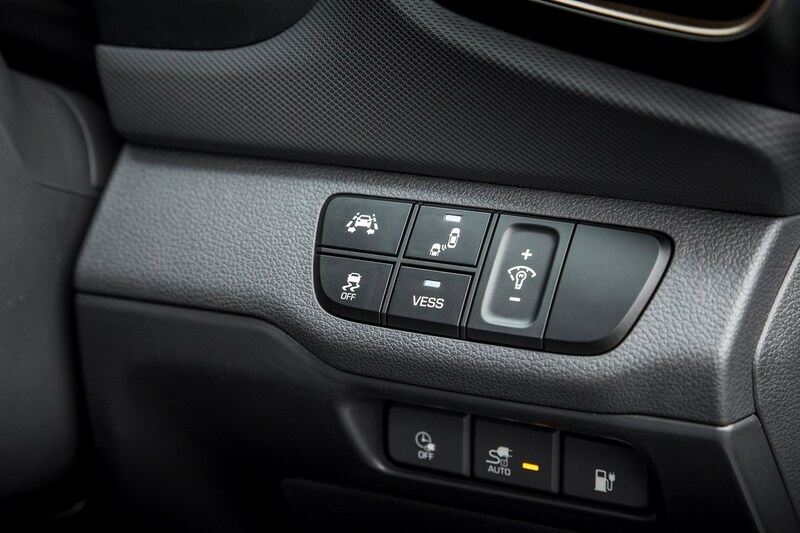 Fitted equipment is generous on both, with DAB radio, Bluetooth connectivity, cruise control and a rear parking camera as standard. 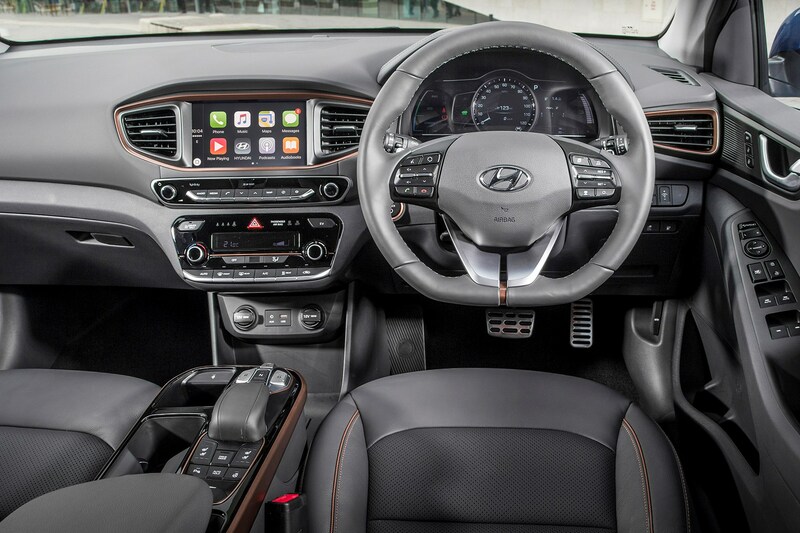 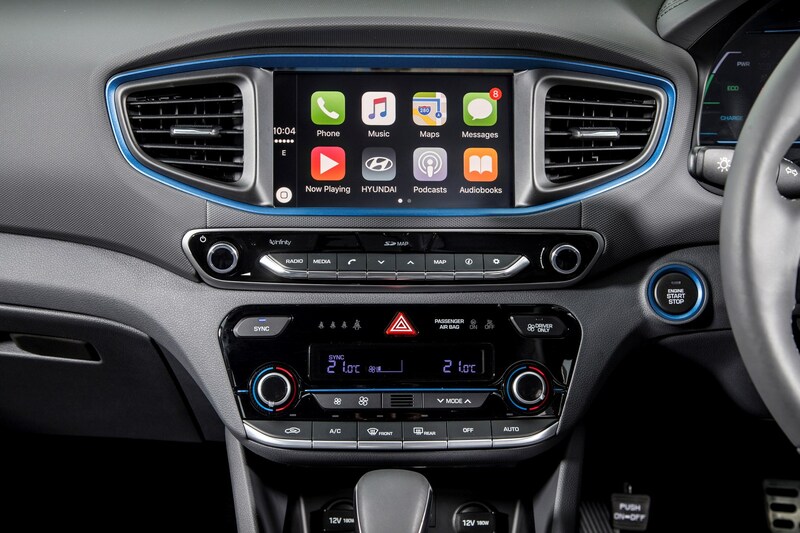 It gets an excellent sat-nav (with live updates, Apple CarPlay and Android Auto) included from Premium upwards. 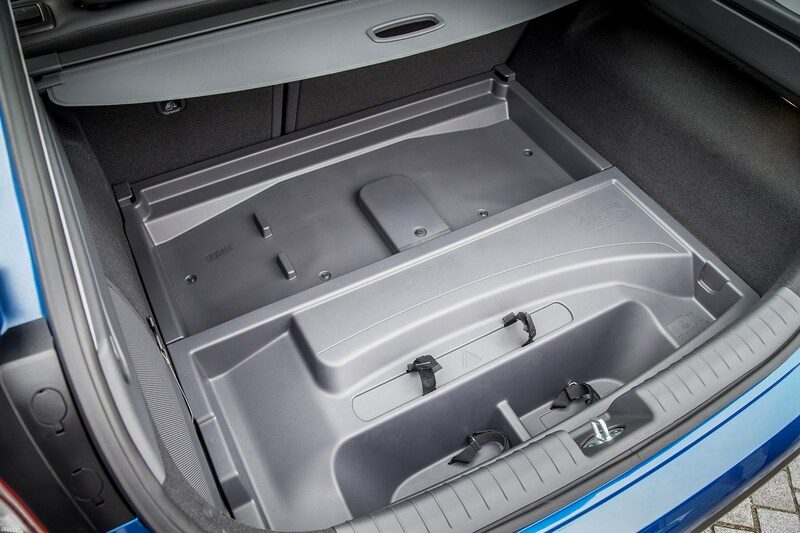 In fact, standard kit is so comprehensive, the only range-wide option available is metallic paint. 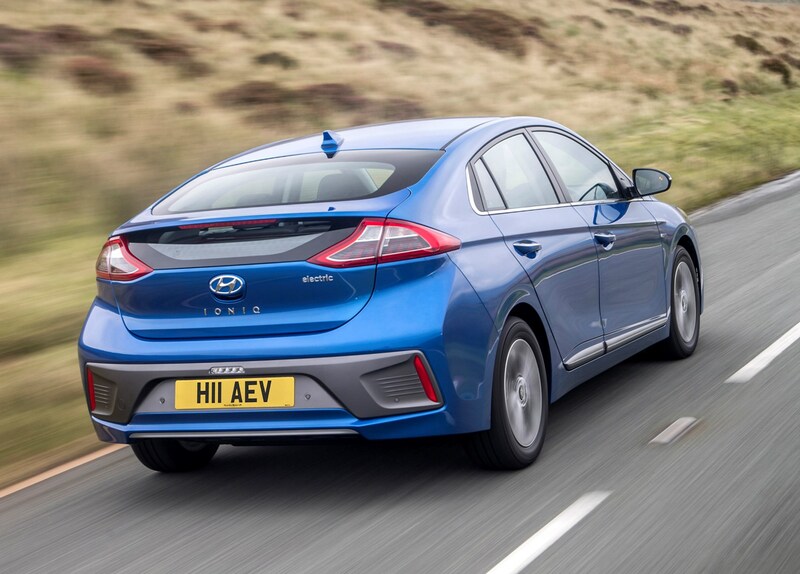 The Electric version is cheaper and travels further on a charge than an equivalent Leaf, and the can be said for the EV and PHEV versions compared with their rival from Toyota. 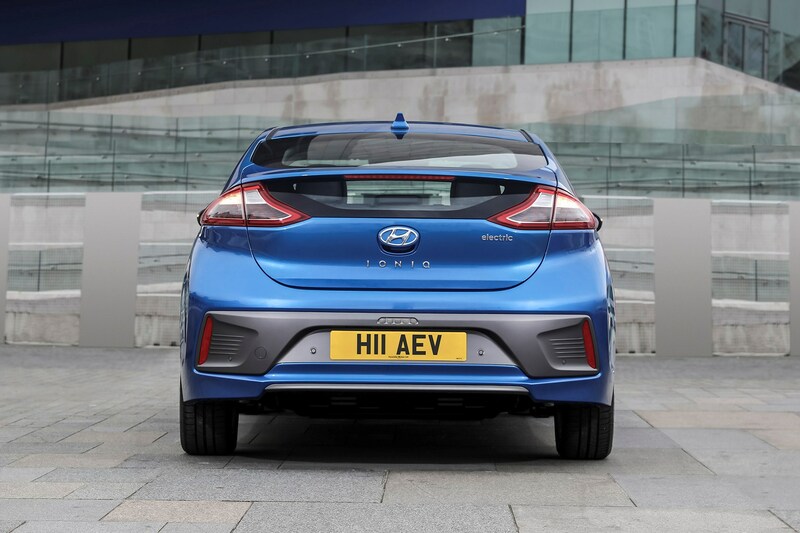 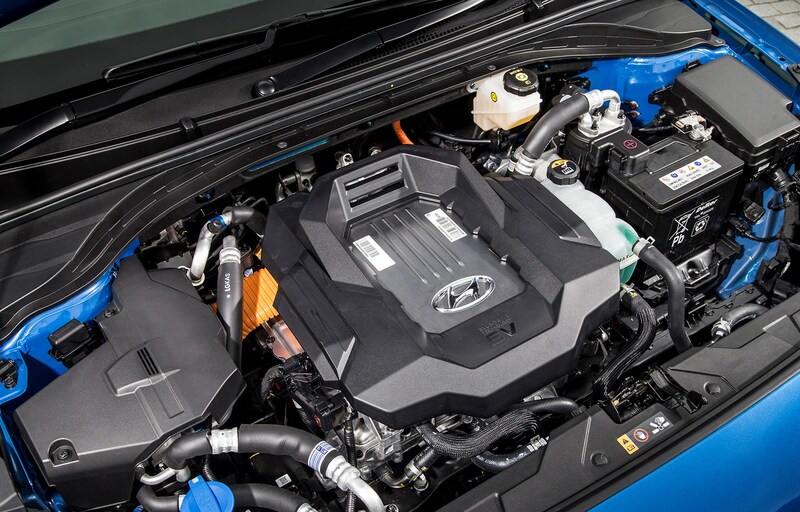 Both versions come with Hyundai’s five-year, unlimited-mileage warranty, with coverage for the battery components extended to eight years (albeit perhaps confusingly, this is limited to 125,000 miles). 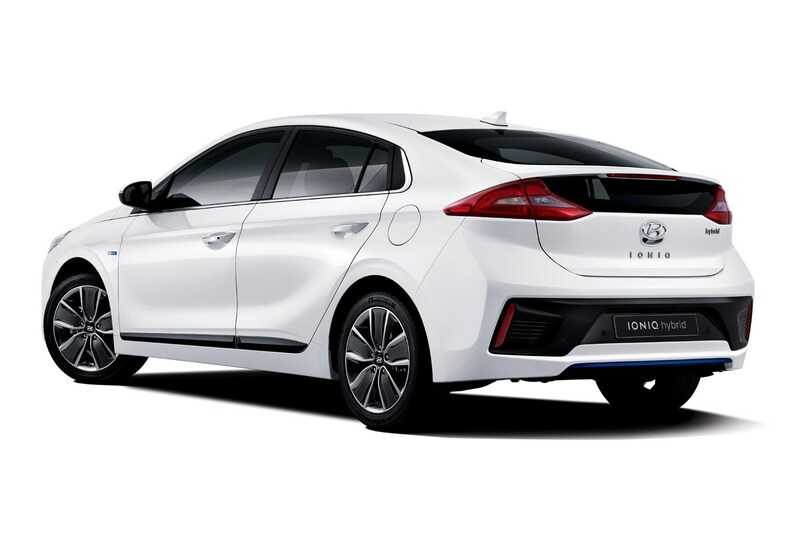 We like the Hyundai Ioniq. 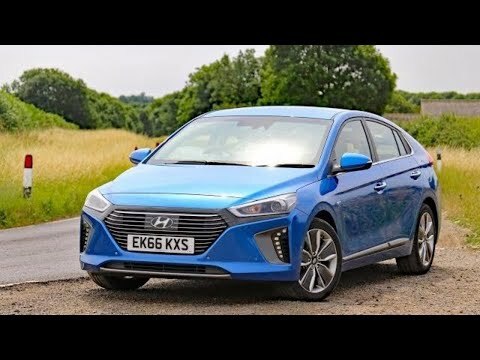 It's a good value alternative to the estabished opposition, drives well, and is pleasing on the eye (not a given with eco cars). 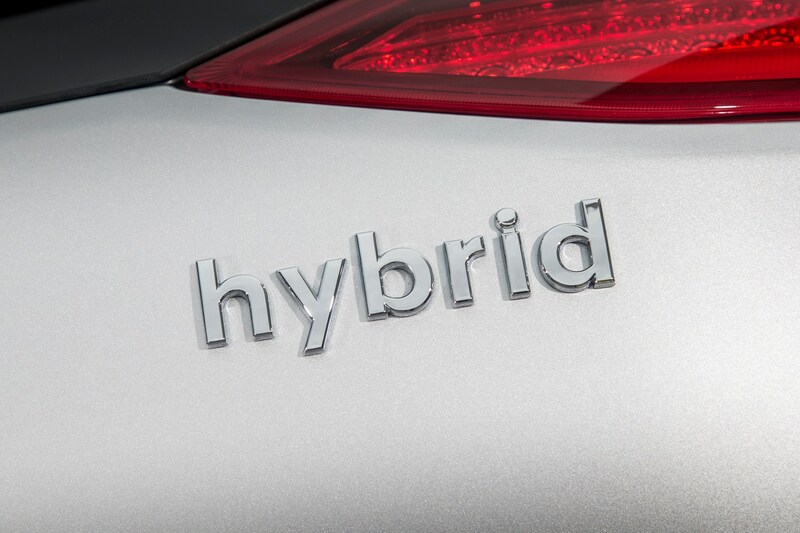 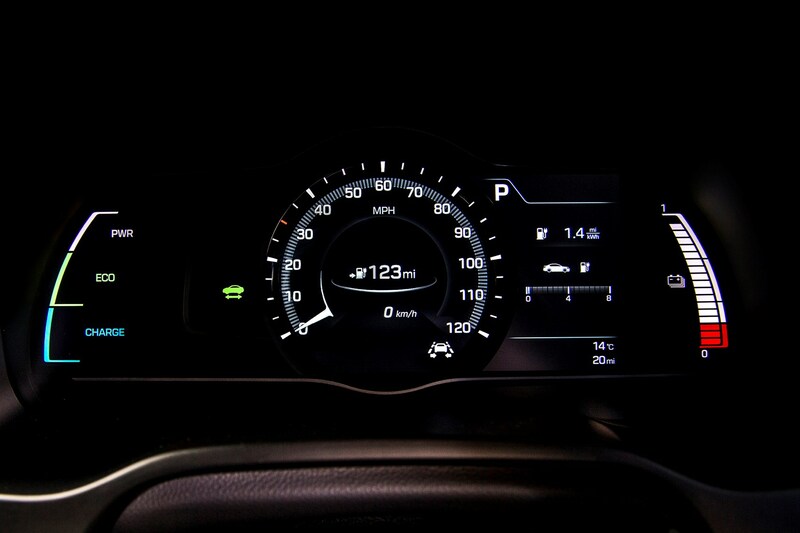 The hybrid version delivers punchy performance and relaxed cruising, and aside from the interesting dashboard display, you'll be hard pushed to tell it's a hybrid. 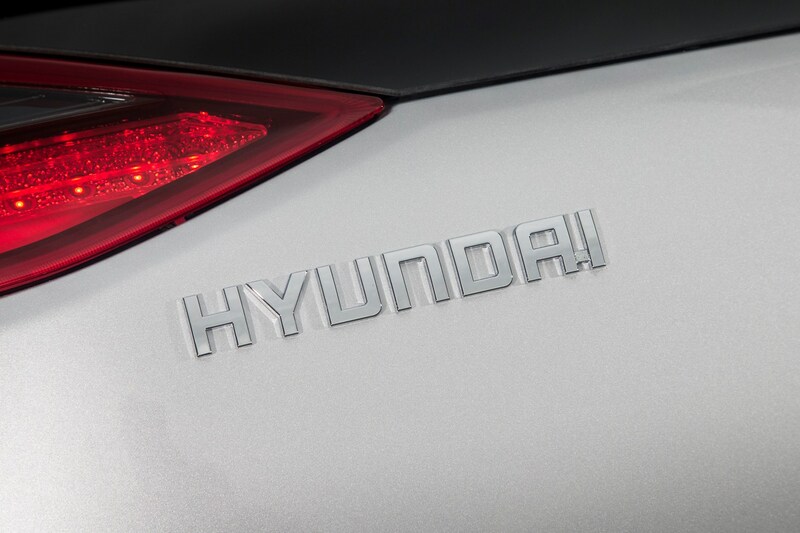 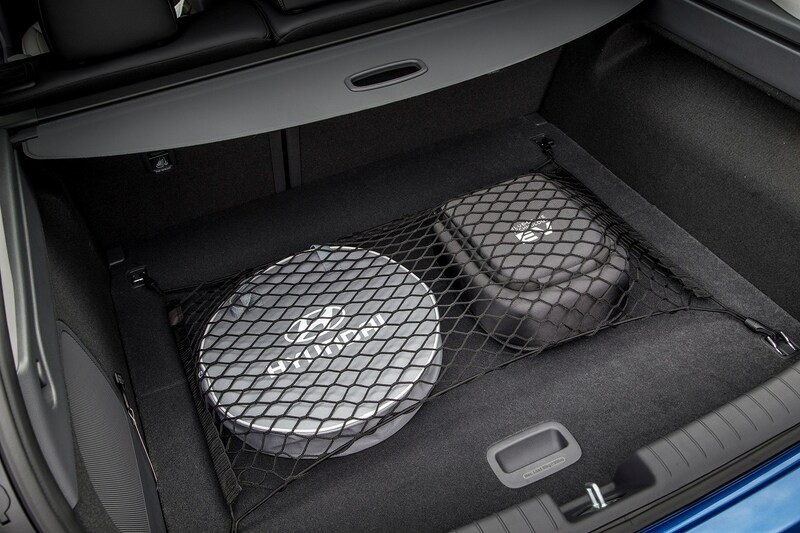 In other words, the value is strong with these Hyundais, but that's a long way from being its only appeal. 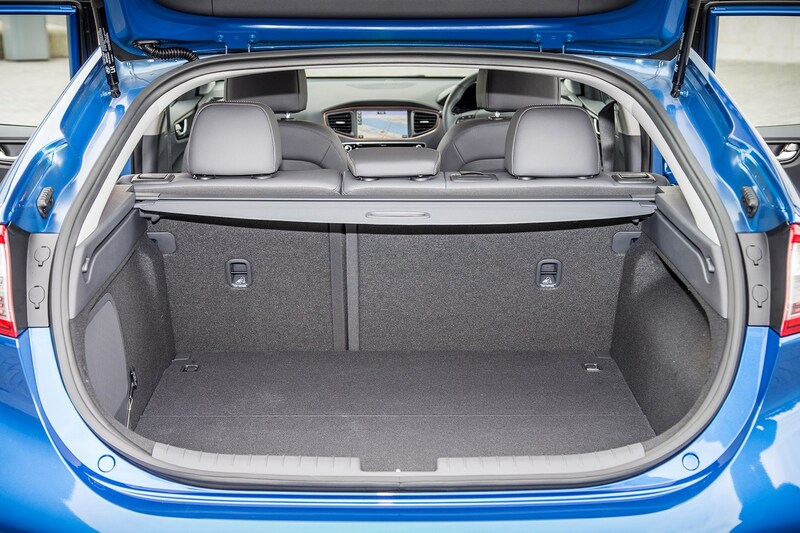 There's bags of equipment, a great warranty and plenty of interior room – so if you’re looking for a no-nonsense eco car, keep reading.